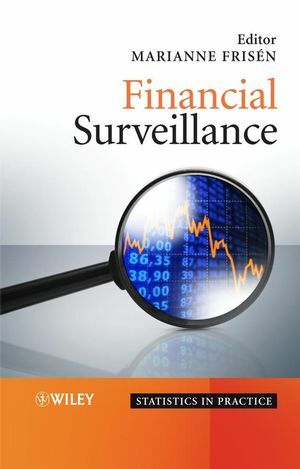 This is the first book-length treatment of statistical surveillance methods used in financial analysis. It contains carefully selected chapters written by specialists from both fields and strikes a balance between the financial and statistical worlds, enhancing future collaborations between the two areas, and enabling more successful prediction of financial market trends. The book discusses, in detail, schemes for different control charts and different linear and nonlinear time series models and applies methods to real data from worldwide markets, as well as including simulation studies. Marianne Frisen - Statistical Research Unit, Goteborg University. Professor Frisén has worked in the area of surveillance for over 25 years. In that time she has organized symposiums on financial surveillance, written numerous publications on surveillance (including financial surveillance), and written two chapters in the Wiley published Spatial and Syndromic Surveillance for Public Health. 1. Introduction to financial surveillance (Marianne Frisén). 2. Statistical models in finance (Helgi Tómasson). 3. The relation between statistical surveillance and technical analysis. in finance (David Bock, Eva Andersson and Marianne Frisén). 4. Evaluations of likelihood-based surveillance of volatility (David Bock). 5. Surveillance of univariate and multivariate linear time series (Y. Okhrin and W.Schmid). 6. Surveillance of univariate and multivariate nonlinear time series (Y. Okhrin and W. Schmid). 7. Sequential monitoring of optimal portfolio weights (Vasyl. Golosnoy, Wolfgang Schmid and Iryna. Okhrin). 8. Likelihood-based surveillance for continuous-time processes (Helgi T?omasson). 9 Conclusions and future directions (Marianne Frisén).